What the hell are they smoking down there? I’ll admit I have been known to troll for repulsive recipes. It’s kind of my dirty little secret, and unfortunately the internet has allowed me to discover things so far beyond the bounds of decency you would not believe it — let’s just say the odd 1950s cookbook and Elvis’s grilled peanut butter and banana sandwiches are for pikers. 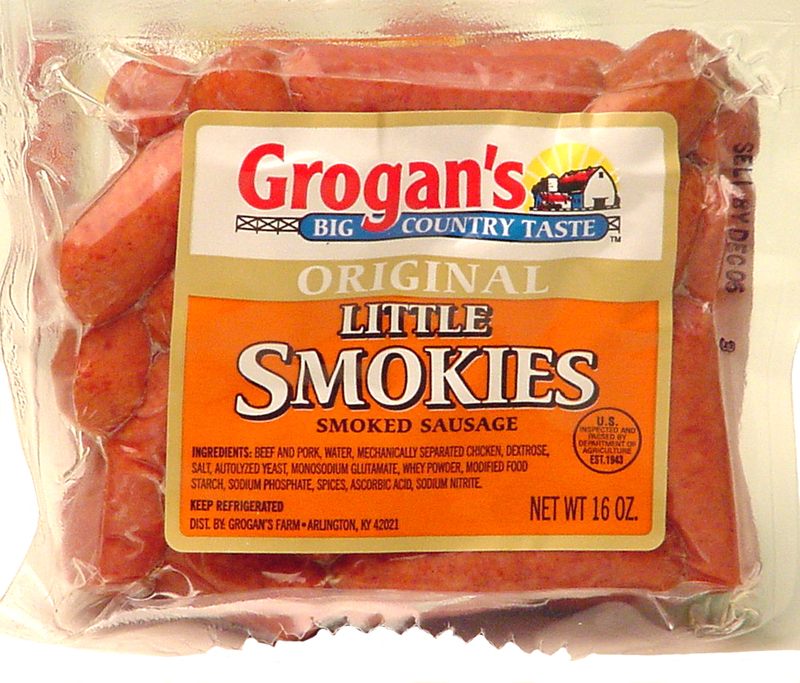 Witness the following recipe for Crockpot Little Smokies (filed under “Southern Food”). Combine cocktail wieners or little smokies in crockpot with chili sauce and grape jelly; cover and cook on LOW for 6 to 8 hours. No, I am not making it up. Now listen, I know I’ve got some warm weather readers out there, and enquiring minds want to know. Is this for real? Posted on January 29, 2012, in Good to know, Party! Party! and tagged cocktail sausages, Crock-Pot, Drink and Food, grape jelly, Hot sauce, Humor/Commentary. Bookmark the permalink. 9 Comments. Are you sure you haven’t damaged your taste buds with all that A1 (great post!)? I trust your judgement of course, but we are way out of my comfort zone here. Of course, this is from the woman who just ate key lime pie for breakfast. It was gooood. Yes, it is for real. But for the record, I also had them when I lived in the Midwest. It is a popular crockpot take-along kind of appetizer or dish-to-pass. Also, for the record, I don’t make this dish. I am speechless. Thanks for the reality check. I think. I knew I liked you! I just made this recipe for my uncle’s funeral a couple weekends ago, but used frozen Italian meatballs from the freezer section. A friend brought them to a party we hosted years ago and they were a hit. Must say that there were no leftovers to be had this time around either. Still can’t say I’m a believer. GRAPE JELLY? Try it, you’ll like it…. I don’t know….this may be one of those green bean casserole moments where curiosity is trumped by the gag reflex.